Fall and Winter months are a great time to focus on Interior Home Transformations. Wintertime creates an ideal opportunity to concentrate on the things that will improve your daily life. A Licensed Contractor can bring a wealth of experience and ideas to your home improvement projects by providing quality services and innovative techniques. Minneapolis, MN is lucky enough or unlucky enough – depending on your perspective – to have a lengthy cold weather season ideal for focusing on interior home facelifts. Bannochie Builders, Inc. provides high quality services at affordable prices. We have been improving the homes and subsequent lives of Minneapolis, MN homeowners for over 25 years. May we suggest interior upgrade projects for your home? Kitchen Remodel projects can vary from installing new countertops to a complete transformation with a more functional layout, new cabinetry, flooring, paint, appliances and lighting. Bathroom Renovations that add function and efficiency include the installation of a new sink and vanity, updated flooring, showers, tubs, light fixtures, medicine cabinets, added storage and efficient bath fixtures. Basement Finishing can go a long way in adding functional living space to your home without a home addition. Create an additional bedroom, game room, bar area, home theater, needed storage or whatever you choose. Garage Renovations are a smart idea for improving your home value by adding insulation and transforming the space into added living space. Family Room Facelift can be a wonderful way to bring your family together for entertaining, reading, and family fun time. Custom Flooring and Light Fixture Updates can make an amazing difference in a short amount of time with smart choices and experienced installation. Weatherization and Insulation Upgrades can make a big difference on your energy bills and carbon footprint. Finishing Touches such as crown molding, weather-stripping, painting, new baseboards or doors, refinishing a worn banister or other tweaks can make a big difference in the look and feel of your home. Bannochie Builders, Inc. has been providing Top Quality Services since 1995. 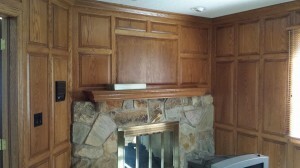 We are Licensed Contractors who love doing home transformations that improve the lives of our clients. Now is an ideal time to focus your attention inside of your Minneapolis, MN home and make the kind of upgrades that add value and comfort for your family. We are fully Licensed, Bonded and Insured. GBannochie@yahoo.com – Call Cell: (952) 220-5950 or Office: (763) 574-0131! This entry was posted	on Friday, November 14th, 2014 at 4:33 pm	and is filed under Home Remodeling. You can follow any responses to this entry through the RSS 2.0 feed. You can leave a response, or trackback from your own site. © 2018 Bannochie Builders, Inc. All Rights Reserved.